There are some things about traveling with small children I will not miss, like bladder control. With older kids they can wait until you get to a more reputable rest station. But the little ones have to go when they have to go. 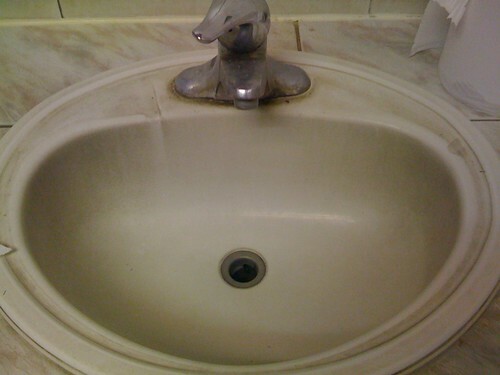 If the sink, who is occasionally graced with soap, looked like this, you can imagine what the other fixtures looked like. Thank god we travel with sani-wipes in the van. My daughter and I got a full cleansing after this truck stop visit.